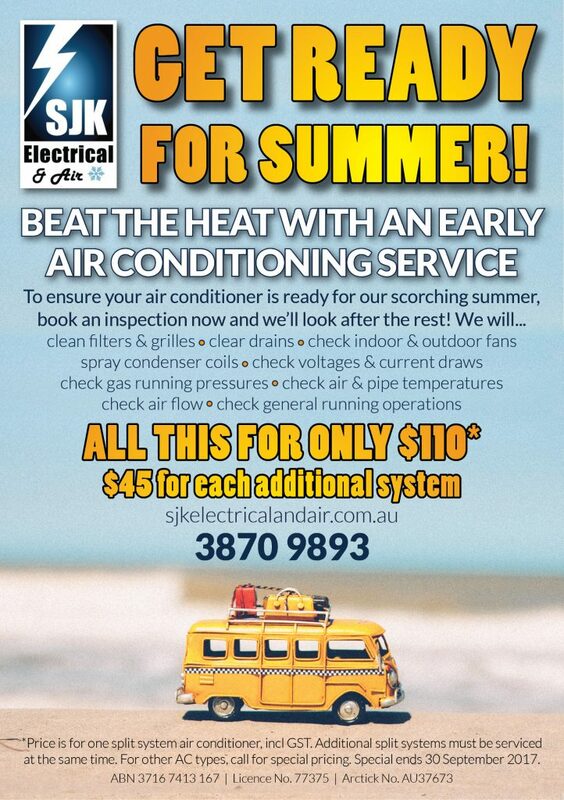 SJK Electrical & Air - Are you ready for Summer? Book your Air Con now. Home » Are you ready for summer? As summer approaches air conditioning systems start to get used more often. That is why now is a perfect time to get your system serviced/ inspected before getting caught out! You will have piece of mind knowing that when the heat wave arrives, your air conditioning system will be blowing icy cold air. Getting your air conditioning system serviced yearly at minimum is a wise investment. 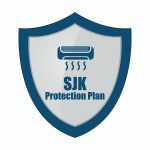 Not only does it keep the air fresh but it also saves on electricity consumption and minimises the risk of break downs. We have a special offer for clients needing their units serviced which is valid until 30th September 2017. If you are interested in finding out more about this special please give us a call. Contact 3870 9893.